SCD Group: Is Your Association a Media Manipulator or Media Manipulated? Is Your Association a Media Manipulator or Media Manipulated? 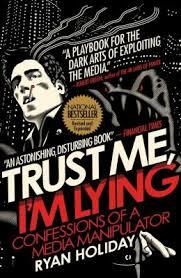 I’m reading Ryan Holiday’s updated book titled Trust Me I’m Lying: Confessions of a Media Manipulator. A malicious online rumor costs a company millions. A political sideshow derails the national news cycle and destroys a candidate. Some product or celebrity zooms from total obscurity to viral sensation.What you don’t know is that someone is responsible for all this. Usually, someone like me. Manipulators wield these levers to shape everything you read, see, and hear—online and off. This instructive and frightening book should be required reading for all association public relations professionals, association marketers and association executives. Over the last 30 years, I’ve been a news reporter, public relations professional and association executive. As I read the book, memories and cases I’ve been involved in illustrate Holiday writes seems true. For example, I received a call one hot July from a reporter at a St. Louis tv network station wanting to interview a local farmer who was having issues with a drought. I gave her four or five farmers and said she should call me back if she couldn’t reach any of them. Well, about 20 minutes later she called and said, “the local farmers aren’t suffering from the drought. I tried to convince the news editor that we could do a story on the drought but that it has not yet reached St. Louis.” But, my editor said, “No, I want a drought story.” “So, do you have any farmers west of here that may be experiencing the drought.” Astonished, I complied. The TV helicopter flew the reporter and cameraperson about a 100 miles west and that night aired a drought story complete with grasshoppers jumping among the soybeans. This illustrated to me how the media had a story in mind and didn’t want the facts to screw it up. Holiday’s book suggests two issues/topics for associations and association professionals. Media and those who know how to use the media can “screw” your association, its members and/or staff. A blog post headline screams negatively about your industry or profession. A video posted on YouTube portends to show undesirable actions at your convention. An “opponent” plants negative stories about your industry or association. It happens. A few years ago, the largest fake Christmas tree manufacturer “brandjacked” a website used by the Trees for Troops cause program. So, if people clicked the link, they were diverted to the fake tree website. It took weeks to get that issue resolved. 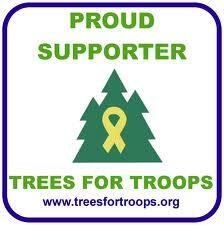 And the Trees for Troops timeline is only five weeks long. All these and more can and have created major issues for companies, individuals and associations. Your crisis communications plan needs to be prepared. But, as Holiday suggests, it is extremely difficult to turn the story around. Once posted online, the negative story remains. As most people know, the “retraction” doesn’t reach Page 1 of a newspaper. Use polls/research to generate publicity favorable to your industry, profession or cause. Produce and distribute an association blog ... put posts on at least daily if not more frequently. Focus on the industry or profession not on your organization. Create and spread videos to fulfill your strategies. Constantly update your associations’ blog and websites. Use landing pages and SEO to increase traffic. Comment on blogs, news stories and other items that would build your reputation as an expert. Monitor social media to see what is being said about you and to see what others are saying that you could redistribute. While the current state of media is appalling (as Holiday showcases), it is not likely to change so you might as well take advantage of it to promote your industry, profession or cause.